Construction refers to the planning, building and repair of the built environment. There are a wide range of specialist trades in the construction industry, which are primarily engaged with working in commercial, industrial and residential buildings. Most construction work involves small repairs and renovations, but can include major work to infrastructure. There are three main tiers of jobs in the construction industry – unskilled, skilled and technical/management. Unskilled work describes general site labour, for workers with very basic tasks, or without construction qualifications. Skilled professionals possess extensive experience and knowledge in a trade, such as plumbing or carpentry. Technical and management roles are for those with the highest qualifications (usually a university degree), for senior professionals who manage the wider construction process. A career in construction can take a great many forms. There are jobs in building, bricklaying, plumbing, carpentry, surveying and site management. These different trades will regularly cross paths during construction projects. Read on for a step-by-step guide to construction apprenticeships; how they work, the different types of apprenticeships available and the entry requirements. Apprenticeships in construction are schemes designed for school and college leavers, between the ages of 16-24. Construction apprentices work for a company or employer in the industry, and study towards qualifications on the side. At the end of the course, an apprentice will have nationally certified qualifications and extensive work experience. Construction apprenticeships are a pathway to skilled, technical and management roles. If you’ve ever looked at a bridge, or a house, or a dungeon, and thought ‘Wow! How did they build that bridge?’ perhaps you should consider a career in construction. There are no tuition fees; employers cover the costs and receive government funding to train apprentices. A construction apprentice also earns a salary for the duration of their scheme. What’s not to love? How do Apprenticeships in Construction Work? Construction apprenticeships are very similar in structure to other professional apprenticeships. An apprentice will split their time between the workplace, and a training centre or college. Construction apprentices spend most their time at work. They will work for a construction company, doing real work, and receiving on-the-job training. Apprenticeships in construction are designed to impart the technical and practical skills that are needed for a successful career in the sector. When a construction apprentice is not at work or on-site, they will be studying towards qualifications. The academic parts of an apprenticeship usually take place in a local college or training centre. These qualifications depend on the level of the apprenticeship. Below is a breakdown of the entry requirements and the qualifications you could gain from intermediate, advanced and higher level apprenticeships in construction. Intermediate apprenticeships are the starting level of the modern apprenticeship. You might also hear them referred to as level 2 apprenticeships. These schemes last between 12-18 months, and are aimed at 16-year-old school and college leavers. The entry requirements for intermediate apprenticeships in construction vary from scheme to scheme. Employers typically look for candidates with two or more GCSEs (9-4), with passes in English and Maths. Some employers will accept applicants without GCSEs if they have any prior, relevant work experience. If this sounds like you, there is no need to worry. There is a new pathway into intermediate apprenticeships in construction – traineeships. Traineeships are education programmes that are designed for young people who have left school without the skills or qualifications they need for an apprenticeship. These qualifications are equivalent to 5 GCSE passes! Peter Butler works for GMB Carpentry. He has just completed his Intermediate Apprenticeship in Site Carpentry and plans to progress onto the Advanced Level. He has recently won two awards: The Faculty of Construction Apprentice of the Year Award 2016 and also the Overall Apprentice of the Year Award 2016. If you’re looking for a more in-depth overview of level 2 apprenticeships, read our Guide to Intermediate Apprenticeships. Advanced apprenticeships in construction are also called level 3 apprenticeships. An advanced level apprenticeship will last for a minimum of 12 months. Advanced apprentices will develop more complex skills than an intermediate apprentice, such as bricklaying, carpentry or technical drawing. The entry requirements for advanced apprenticeships are 5 GCSEs (9-4). Employers will also accept applicants who have completed an intermediate apprenticeship in construction. These qualifications are equivalent to two A levels. Higher apprenticeships in construction can last anywhere between 2-4 years. These schemes are also known as level 4/5 apprenticeships. They have been designed for school and college leavers aged 18 and above. Higher level apprenticeships have developed in the construction sector to train young people for highly skilled positions, and to create a pathway to management roles. The entry requirements higher apprenticeships are two or more A levels, or a completed advanced apprenticeship in construction. All applicants must be at least 18-years-old. Higher National Diploma (HND), a Foundation Degree or an Undergraduate Degree. Interested in a more in-depth breakdown of higher apprenticeships? Read our Higher Apprenticeships Guide. Intermediate apprenticeships… advanced apprenticeships… higher apprenticeships… such a wide-range of schemes, offered by some of the UK’s top employers. How on earth do you choose the right apprenticeship to apply for? Well, RateMyApprenticeship has thousands of reviews of apprenticeships, school leaver programmes and work experience schemes. Apprentices share experiences of working with some of the UK’s biggest and smallest construction companies. The reviews reveal secrets about the content and structure of these apprenticeships. Construction apprentices also provide information about salary, the support they received from their employer, and the social opportunities outside of work. If you are considering applying for a construction apprenticeship, the reviews are a must read! They can help you choose the right type of apprenticeship, the right employer, and the right next-step after full-time education. A construction apprenticeship is a full-time job; it’s why all apprentices are paid a salary while they learn a trade. This is an opportunity for you to earn while you learn. This table displays the current rates of the National Minimum Wage, as of April 2018. As you can see, the minimum an apprentice can be paid is £3.70 an hour. The £3.70 rate applies to any apprentice under the age of 19, or in the first year of their scheme. Many employers pay above the minimum wage for an apprentice. The reviews on RateMyApprenticeship are a valuable resource if you’re interested in finding out how much a specific company pays their apprentices. As mentioned previously, apprentices are likely to receive a higher wage in London. The higher cost of living means employers have to pay London apprentices more than apprentices in other regions. There is a high concentration of construction apprenticeships in London. The capital is densely populated, and a hub for business and trade; there are always new construction projects and new opportunities for work experience. If you are interested in doing a construction apprenticeship in London, you can filter your search on RateMyApprenticeship’s jobs page to target schemes in the capital. The filter is also available on the reviews page, so you can find out about the day-to-day experiences of construction apprentices in London. There is also a wide-variety of construction apprenticeships in Glasgow. Apprenticeships in Scotland work in the same way as construction apprenticeships in England. Apprentices develop new skills at college or a training centre, and put them into practice in a real working environment. All construction apprentices in Scotland must be registered with either The Scottish Painting and Decorating Apprenticeship Council (SPADAC) or The Scottish Building Apprenticeship and Training Council (SBATC). These organisations ensure that Scottish apprentices are working in safe conditions, and are being trained to a professional standard. The entry requirements and qualifications on offer for apprenticeships in Scotland will be different to schemes in the rest of the UK. For example, employers might ask for 5 Scottish Nationals (A-C), OR EQUIVALENT as an entry requirement for an advanced apprenticeship.This means that you can apply for a construction apprenticeship in Scotland if you have qualifications that are equivalent to 5 Scottish Nationals. Scottish Nationals are equivalent to GCSEs; therefore, 5 GCSEs (9-4) will qualify a school leaver for a construction apprenticeship in Glasgow. 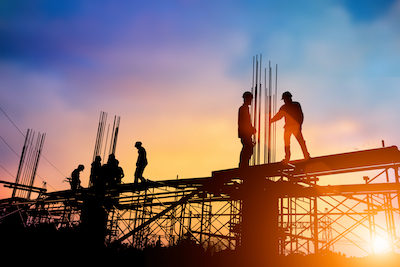 Likewise, 5 Scottish Nationals will qualify a school or college leaver in Scotland for a construction apprenticeship in England, Wales and Northern Ireland. You can use the filter on RateMyApprenticeship’s jobs page to target construction apprenticeships in Scotland. Did you know: you could work for an industry leading construction company, earn a cracking salary and get a degree – all at the same time? And no, this is not a prank. Ant and Dec are not going to appear with a television crew, and tell you that you’re on their latest prank on Saturday Night Takeaway! Degree apprenticeships are the newest level of apprenticeship, introduced by the government in 2015. A degree apprentice will work towards an undergraduate degree (level 6) or a master’s degree (level 7). How do Degree Apprenticeships in Construction Work? The degree apprenticeship programme is called Construction Operations Management. The scheme has been divided into two specialist pathways – BA (HONS) Professional Practice in Quantity Surveying and Commercial Management and BA (HONS) Professional Practice in Construction Site Management. A degree apprentice will work on a full-time basis for a construction company, while studying towards an undergraduate degree. They will attend university on a day or block release basis. These schemes can last anywhere between 3-6 years. 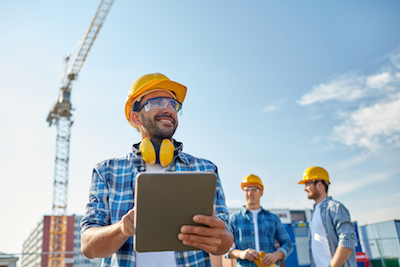 The entry requirements for degree apprenticeships in construction depend on the company that organises the scheme, however, all applicants must be aged 18 or above. The typical entry requirements for degree apprenticeships vary between two or more A levels, and an advanced or higher apprenticeship in a relevant field. Looking for a thorough overview of degree level apprenticeships? Smashing! Check out our Guide to Degree Apprenticeships. Work experience are flexible schemes which offer young people a taster of what it’s like to work in a professional environment. It’s like a test drive, or when you go for a short walk around a shoe shop in a new pair of boots – a test walk. A work experience placement in a construction company will help you decide if you want to pursue a career in construction. Work experience placements usually last for a week or two, but can be a few days shadowing an experienced professional. Work experience is also a great addition to your CV. It’s not only an opportunity to develop your skills, it shows that you have a genuine interest in the industry. Employers are always searching for applicants that are passionate and proactive. One or two weeks of work experience with a construction company could give you a giant advantage over your rival candidates when it comes to job applications. Click to view work experience opportunities in construction... also make use of friends, family and local employers to secure some work experience. If you know anyone who works in the industry, bring them a basket of baked treats. They cannot turn away a construction enthusiast that has a basket of baked treats under their arm! A quantity surveyor is responsible for the costing of a construction project, from initial estimates though to the final acquisition of building materials. They will ensure that a client gets value for their money, and that the construction work adheres to regulations. Quantity surveying apprenticeships are a pathway to becoming a chartered quantity surveyor. Apprenticeships are available at advanced, higher and even degree level. An apprentice is employed on a full-time basis, and will work between a construction site and site office. They will work alongside senior professionals in the construction industry, including engineers and architects, as well as clients. For Degree Apprenticeships you need... minimum of five GCSE’s (or equivalent) at grades (9-4) including Maths, English and Science, with a 5 in Maths + 3 A levels (or equivalent), including Maths A level at grade A-C / lower level apprenticeship. Well, an apprenticeship in building is a pathway towards such a career. Building apprenticeships are similar to construction apprenticeships, but specifically focus on structures in enclosed spaces. A building apprentice will concentrate on developing the technical skills needed for working on the interior and exterior of houses, offices and other buildings. 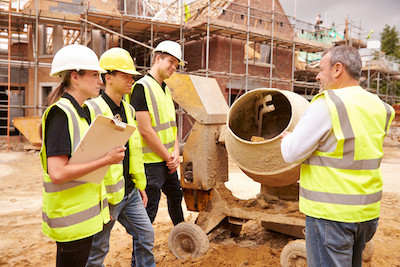 There are likely to be overlaps between building and construction apprenticeships – specific areas of training will depend on the employer and the training provider. The areas of training could include bricklaying, painting and decorating, craft masonry, joinery, carpentry, shopfitting, maintenance and woodmachining. A building apprentice will develop these skills in a professional environment - either a construction site, a workshop or in domestic/commercial premises. Check the information given in job vacancies and employer’s websites for specific entry requirements. Some employers will accept applicants without the qualifications, so do your research! Employers are always on the lookout for eager, hard-working and career-ready young people… you might be surprised by the level of scheme you can get on to! Carpentry apprentices will work towards a National Vocation Qualification Level 2/3 in Wood Occupations, and a Diploma in Site Carpentry. Apprenticeship standards for Carpentry and Joinery (which are the assessment plans that employers and training providers use) have been developed by the following companies, all of which employ carpentry apprentices. Please visit gov.uk for the full standards for carpentry and joinery. An apprentice carpenter will work on domestic and commercial premises, or on a larger building site. They will be trained to set up mechanical drills, saws, disc cutter, and a range of installation, maintenance activities. Schemes can last anywhere between 18-24 months. 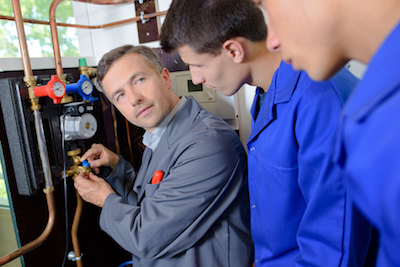 New apprenticeship standards for Plumbing and Heating Technicians were developed in 2015, for intermediate and advanced level apprentices. They are a pipeline towards a career as a plumber or a domestic heating engineer/installer. The entry requirements for these schemes will depend on the employer, but are similar to the requirements for level 2/3 apprenticeships in other fields. Employers look for applicants that are 16 years-old or above, with 2-5 GCSEs, including English and Maths. They will accept equivalent qualifications if you live in Scotland. Construction apprenticeships are an opportunity for you to earn cracking qualifications. All apprentices work towards the qualifications they need to start a career in the construction sector, whether it be a BTEC, a NVQ, a Higher National Diploma or an undergraduate degree. There are construction apprenticeships available which lead to a mad-range of different professions. If you’re interested in a career in plumbing, carpentry, building (and the list is positively endless), an apprenticeship is the path to get you there. If your apprenticeship is not the sector which you aspire to pursue a career in, you will have the professional experience and the transferrable skills you need to succeed in your desired field. A construction apprentice is paid a salary for the duration of their scheme. An apprenticeship is a full-time job, and all apprentices are paid for work and study periods. Why should YOU do an apprenticeship in construction? It’s an opportunity for you to earn while you learn. Construction apprentices work alongside experienced professionals from the sector. An apprenticeship is a priceless opportunity to learn from the best. Working with people who have decades of experience in the construction industry will reveal if YOU want a career like theirs. At the end of a construction apprenticeship, you will be work-ready. Apprentices have the skills, the work experience and the qualifications they need to start a career, and to thrive in that career. This is why apprentices are highly employable. If you’re ready for a career in construction, choose an apprenticeship. You can hear about construction vacancies, and get new job opportunities delivered to your inbox by signing up to RateMyApprenticeship. IT'S FREE!